Israel ranks 30th out of 35 OECD countries in allocating resources for elderly citizens, with a 2014 poll showing 22.1% of elderly in Israel are poor. 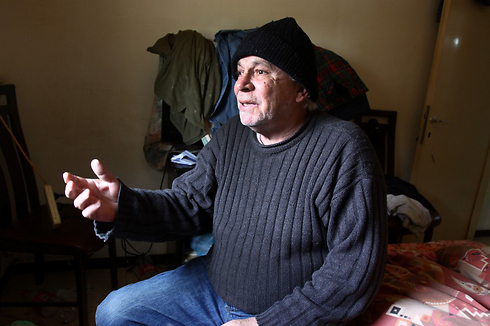 Angel Musicant, 72, sat in darkness in a crumbling, meager two-room apartment where he lives in Rehovot, and didn't turn on the light. "I just want to get it (life) over with," he told Ynet. Musicant is not the only member of his age group who is in a dire situation. Musicant lives on NIS 1,570 (around $411) a month - what is left after he has to spend NIS 1,000 of his NIS 2,570 (around $673) insurance benefits in order to help cover a NIS 8,000 debt. He took out the loan to help his sons, from whom he is current estranged. "I live in constant fear because of my debts," he said. "I have no one left in the world and no one looks at me." In addition to the loan, Musicant also owes money to the electric company, the water corporation, his landlord, and his local grocery store. "I'm afraid of every knock on my door and of them coming to evict me," said Musicant. "Tell me how you can live off this amount. My life is an ongoing nightmare. I don't leave the house and don't buy anything. I haven't changed pants in months." The electricity in Musicant's apartment will soon be cut off, and he avoids turning on the lights. As the government debates its biannual budgets, a National Insurance Institute report from November 2014 noted that 22.1 percent of senior citizens in Israel are poor – one of the highest rates in the Western world. A survey conducted this month by the Knesset Research and Information Center showed that Israel places 30th out of 35 OECD countries in terms of its investment in pensioners. The study was ordered by MK Nachman Shai of the Zionist Union, who heads the Knesset Pensioners' Lobby, and takes into consideration all social benefits for pensioners, including public pensions, stipends, housing assistance, and benefits such as rehabilitation services. A year has passed since the Committee to Fight Poverty submitted a report including a lengthy section on the need to raise income support for around 200,000 poor senior citizens, at a cost of NIS 600 million a year, in order to boost these citizens above the poverty line. The recommendations were meant to form the government's flagship anti-poverty program, and their total cost was estimated at NIS 7.8 billion a year. 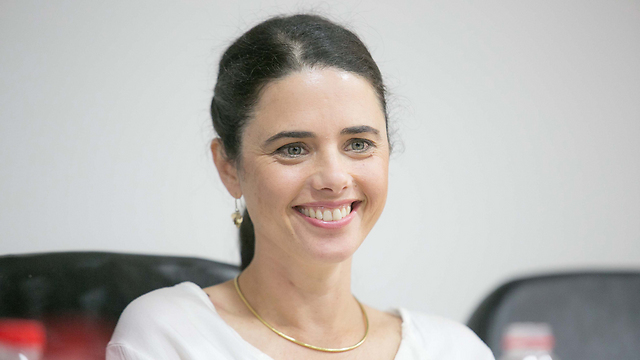 The committee was formed in 2013 by then-welfare minister Meir Cohen with the blessings of Prime Minister Benjamin Netanyahu and then-finance minister Yair Lapid, but the recommendations were not adopted by the previous government. "I'm concerned that the poor pensioners will be forgotten in the emergent budget for next year and that they will be left alone to deal with the scarcity and hardship," said Zion Gabai, a member of the government's anti-poverty committee and the CEO of the International Fellowship of Christians and Jews. "Removing the pensioners in Israel from the cycle of poverty is one of the issues over which there is no disagreement, whether moral or practical. The only way to allow senior citizens to live with dignity is by bringing them to a minimum income threshold that meets their basic needs." Deputy Foreign Minister Tzipi Hotovely has begun a series of consultations with European foreign ministers, their deputies, and ambassadors of several European countries, in which she is presenting evidence that their governments provide financial assistance to organizations that support boycotts against Israel, "blacken its face around the world, accuse it of ethnic cleansing, apartheid, and war crimes; deprive the Jewish people of their right to self-determination, call to prosecute Israel in the International Criminal Court at The Hague, and support the right of return". 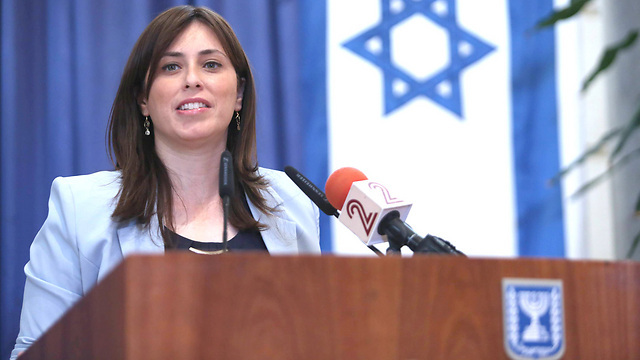 According to Hotovely, the diplomats were presented with detailed documents collected by the Foreign Ministry and the NGO Monitor organization that prove the "problematic" funding. She emphasized that Israel sees support for organizations opposing its right to exist as crossing a red line. State comptroller report determines government's lack of overall policy and lack of regulation contributed to a monopoly in the sector. MK Eitan Cabel, the chairman of the Knesset's Finance Committee, said Tuesday that Economy Minister Aryeh Deri has agreed to sign off on the proposed natural gas plan, but only if it is approved by the Knesset. Deri has refused for a month to make use of Article 52 of the Antitrust Law, allowing him to circumvent the antitrust regulator and approve the agreement with the gas companies. Earlier this month, the economy minister called for changes to be made to the gas agreement. "The gas issue is very complex and the public had to be exposed to it, and the Knesset needs to be exposed to it, this is not an issue that is resolved in the cabinet," he said. "It's not an issue for one minister, no matter how senior, to take on alone. Everyone needs to share that burden." Tuesday was the final day of the public hearing at the committee on the proposed natural gas plan. The Finance Committee also discussed a report by State Comptroller Yosef Shapira on "Development of the Natural Gas Market." "The conduct of the government and all of its branches in issues relating to the natural gas sector was deficient and non-cohesive. For various reasons, some of which the government's conduct contributed to, a monopoly was created in this field," the comptroller said in his report, released on Monday. He criticized the regulation of the gas industry, stating, "Regarding such an important issue the government has to act as would a harmonic orchestra with a conductor at its head," adding that the price of natural gas, despite the monopoly, should be competitive. The comptroller called to correct the deficiencies as soon as possible. 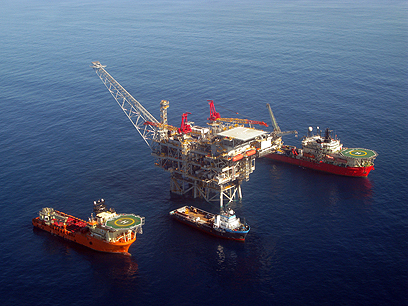 The comptroller emphasized that Israel owns the natural resources in its territory, including the large natural gas deposits discovered in Israeli waters, and therefore, "as with any asset held in the hands of the state, which includes its natural gas reserves, the state and all regulatory bodies must act devotedly for the benefit of the public interest." The comptroller found serious flaws in regulation: "The findings indicate a lack of overall government policy, a lack of effective action, activity at a slow pace and partial regulation, to the point of a total absence of regulation in many areas." He added that as a result of this, "in many areas these deficiencies have created friction between the regulatory bodies themselves and the holders of the rights to the gas. All these factors have caused delays in the development of the gas industry, and may prevent the state from fulfilling the entire underlying potential of this resource." Regarding the monopoly created in the gas industry, the comptroller wrote that "throughout the years, the government's actions did not prevent the creation of a monopoly in the supply of natural gas, and even placed the state under various constraints to cope with the consequences of the monopoly." "Thus for example, a determined policy for the development of small and medium-size gas fields was not completed, which could contribute to competition in the industry, a course of action was not formulated to attract operators with proven and significant professional experience in the field of the discovery of natural gas, and even though 46 search licenses were given to partnerships, which included search operators, only one highly experienced operator was able to discover the natural gas fields in the territories for which it received licenses." The report states that "it raises doubts about the ability of the other operators to discover natural gas. Thus an excessive dependence was created on gas production from one field, flowing from one limited-capacity pipe, and the market was left without backup and with redundancy in the supply of natural gas." Pertaining to the price of gas, the comptroller wrote, "As far as the content of the plan is concerned, it is important to stress that given the existence of a monopoly in the supply of natural gas, one must ensure that the price of gas will be competitive." He added, "With regard to this aspect, it must balance between the need to develop the gas industry for the benefit of the general public and the need to look after the consumers' interests and reduce the cost of living in Israel." In addition, the comptroller wrote that the price control committee, which is joined up with the ministries of finance and energy, tracked the prices and profitability of natural gas for about two years. Despite the existence of a monopoly in the supply of natural gas, the committee did not formulate a method, nor did it set parameters and criteria that would enable it to decide what level of oversight to recommend. The committee also did not raise the difficulties in making the decision on the level of oversight before the ministers in charge of operations. The result, the comptroller added, is that it has yet to be decided whether there will be supervision, and if so, what level of supervision will be imposed on the price of natural gas. The comptroller recommends that prior to approving the gas plan the government has to establish supervision and control mechanisms on the implementation and achievement of its objectives, and to stress that if the gas companies do not meet their obligations, then the government can re-examine the issue in accordance with its authority; this despite the "stability clause", in which the state will declare its intention to avoid making significant changes to arrangements made for a period of ten years. He added that the government should make sure that as long as there is a monopoly in the supply of natural gas, the gas price will be competitive. "To this end, it must examine the need to use a variety of means at its disposal, first and foremost price controls. In this framework, it must balance the need to develop the gas industry and the impact of gas prices on the cost of generating electricity and the cost of living," wrote Shapira. The Ministry of Energy and Water Infrastructure said in response to the report: "The ministry believes, as the comptroller determined in this report, that the multiplicity of regulatory bodies - both authorized and even not authorized, the lack of coordination between them and the taking of pointed decisions without examining their effects on the entire natural gas industry, are what increased the uncertainty and led to a significant portion of the deficiencies indicated by the comptroller. Over the course of years, various actors intervened in the market, without authority and without accountability. "Despite this intervention, the ministry is making great efforts to promote Israel's energy independence, and the natural gas market, both in terms of the infrastructure and the economy. It does this professionally and efficiently, which was proven by the rapid development of the Tamar reservoir and the maritime link, in comparison with international norms. In addition, the ministry granted detailed possession deeds which entrench the public interest, rules were established to transfer rights, a growth committee was convened to regulate the issue of export. "The natural gas pipeline was spread out to a length of 500 km which is connected to all the relevant power plants and most of the major industrial enterprises. Within a dozen years, the country has moved from zero to 50 percent of electricity generation from natural gas - a large volume on a global scale. The ministry has led to savings of more than NIS 40 billion to the market thanks to its wise management of the natural gas industry. "The ministry believes that the solution to the deficiencies indicated by the comptroller lies in the concentration of powers in the central regulator, the ministry of national infrastructures, energy and water. It is fitting that the one who bears responsibility will also have the authority. Our professional position and all our activities were brought to the attention of the comptroller. Unfortunately, a significant amount were not reflected in the report." Plan led by Lt.-Gen. Gadi Eisenkot includes dismissal of an additional 2,500 professional soldiers, discharge of 100,000 reserve soldiers, reducing commanders' age, cutting back on major-general positions and integration of citizens into the army. The IDF is going to look completely different in 2020: The fighting corps will undergo a revolution and all the other units will shrink, according to a five-year plan led by IDF Chief of Staff Lieutenant-General Gadi Eisenkot, which was revealed Monday ahead of the expected publication of the Locker Committee's report that outlines the State of Israel's defense budget. Dismissing another 2,500 professional soldiers. Reducing the commanders' age: Regiment commanders will be 32 years old instead of 35-37; the brigade commanders' age will drop from 45-46 to 40-42. Cutting down the reserve force by 100,000 soldiers, cutting down artillery brigades and light infantry brigades. The reserve soldiers who will remain will be trained, equipped and qualified for a war. Cutting down the commands by about 6%. Shutting down systems and cancelling redundant positions: Cutting down and adjusting systems which are not at the core of the IDF like the Education Corps, Military Rabbinate, Chief Reserve Officer, the chief of staff's advisor on women's affairs, Army Radio and the Military Censor, combining the Northern Corps commander with the Ground Forces command. Purchasing surface combatants and introducing a submarine towards the end of the year. Purchasing F-35 planes, introducing an unmanned aircraft lineup and multi-layer protection. A senior officer elaborated on the main objectives of the new plan, which aims to adjust the army to the current threats. "We have reduced the tank forces order by 75% since 1985, and reduced the number of warplanes and surface combatant by 50% since the 1990s," he said. "The number of professional soldiers went up by 8% in the past 30 years. We will shut down the reserve Home Front Command brigades and a few other artillery units, and discharge 100,000 reserve soldiers. We will implement a 6% in all headquarters. In the General Staff this is already being implemented by dropping four major-general positions." The multi-year plan also includes an increase in the number of brigades for routine security measures. This way, the officer noted, the summons to operational activities of reserve regiments will be reduced. "Every reserve regiment which doesn’t appear on the annual operations graph 'saves' NIS 70 million (about $18 million)," he said. In the next six month, not a single reserve regiment will be summoned to operation activity. The plan was concocted by six General Staff teams led by officers in the ranks of brigadier-general and major-general. They outlines the patterns of training, manpower and strategy according to which the IDF will be managed in the next five years, hoping that this time the multi-year plan will be approved by the government. The Locker Report, prepared by a governmental committee led by Major-General (res.) Yohanan Locker which was appointed to look into the defense budget, was submitted to the prime minister and defense minister about two weeks ago for their comments ahead of its submission to the government's approval. The report raised concerns in the IDF due to a significant cut in the pensions of most career officers and the plan to dismiss thousands of them. IDF chief Eisenkot had a lot of criticism against considerable parts of the report, and he therefore presented the IDF's senior command with a multi-year plan. One of the most explosive issues in the Locker Report and the Gideon Plan has to do with the manpower issue and the pension terms of professional soldiers. The Locker Report asserts, according to recent reports, that the combat professional soldiers, such as brigade or regiment commanders and squadron commanders, should be separated from the ones stationed in the home front. The report suggests that the combat soldiers will continue to enjoy a bridging pension upon retiring from the army (in their early 40s) until the retirement age (67), while those in the home front are offered to retire from the army from their mid 30s to their early 40s for a grant of NIS 600-800,000. This recommendation angered professional soldiers, who are expected to lose 40-60% of the pension funds they were promised. "The meaning of Locker's outline is that 3,300 majors, for example, will be told tomorrow morning that everything they were told they would receive at the age of 39 won't happen. Doing something like that is like shooting a bullet between one's eyes in terms of the IDF's abilities in the future. It has a high risk potential to the state's security," a very senior officer told reporters. "The IDF will be discriminated against compared to the other emergency organizations and government ministries, where the bridging pension will continue. The professional soldiers will be placed at the bottom of public service." 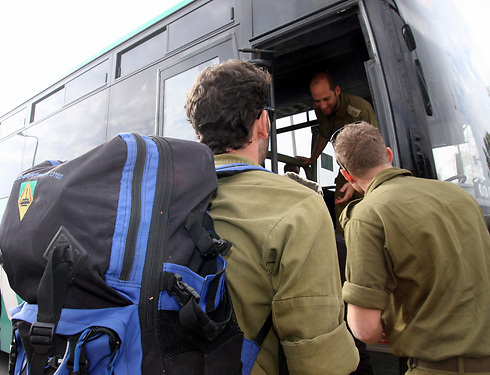 According to the officer, the proposal formed by IDF Personnel Directorate head Major-General Hagai Topolansky in the Gideon Plan states that only one in 10 soldiers will retire at the IDF retirement age. In addition, the ages of officers in the medium ranks will be reduced from 35-37 for a regiment commander today to 32. "We will leave high-quality professional soldiers in the intelligence and technology fields and build a service plan for those who want to come to the army for a short while, for example from the age of 28 to 35 with a release grant. We will make positions in the different systems, such as the Military Advocate General, available to citizens, and continue with the plan from two years ago to cut more than 5,000 professional soldiers. The key is that 1,000 retiring professional soldiers 'save' NIS 1 billion in the multi-year plan." The senior officer slammed recent publications about professional soldiers' salaries. "This attack harms the army's main objective – the public's trust in the IDF. Whoever thinks that the Klos C ship was raided by only 20 fighters is wrong. There are thousands of other soldiers in the home front who the operation wouldn't have succeeded without. "Cancelling the pension of anyone who is not a brigade or regiment commander, or telling them to continue until age 42 and leave without a bridging pension is a joke. Who will he compete against in the labor market at this age? A young 28-year-old? "How will we activate the entire Air Force within hours and strike thousands of targets a day? The army is not a high-tech company which aims to make a profit, but the State of Israel's insurance policy." According to the officer, another part in the Locker Report has to do with shortening military service to only two years, after the army already began shortening the service to 32 months in order to reduce the order of battle by one-third. "It's baseless. It simply doesn’t make sense in the current security reality, and not even in 10-20-30 years," he said. "Whoever thinks the youth can enlist for two years is experiencing a reality of Switzerland here." The IDF's goal is that the political echelon will approve the multi-year plan and determine a uniform index-linked budget for the army according to it. If the leaks from the Locker Report are accurate and different budgets from the defense budgets will indeed be split, the IDF aspires to receive a net budget of NIS 30 billion a year, about NIS 1 billion less than the average in recent years. This refers to the army's budget only, covering its routine existence (medicine, fuel, food, uniform, transport, etc), the soldiers' salaries, training and arming as part of major purchase contracts. "This way, the total defense budget will range from NIS 60 billion to NIS 64 billion a year," the officer estimated. The officer also provided a first comment from a senior military official on the nuclear agreement with Iran and its effect on the army in the coming years: "Our working premise is that the IDF will set its power in motion in the next multi-year plan. Iran will remain the IDF's main task, as defined since 2006, through the monitoring of their centers of activity by the Military Intelligence Directorate. "This mission will require aerial and intelligence resources. Our working premise is that there will be a secret Iranian pattern of action, and there is no doubt that the removal of the sanctions will allow Iran to invest more money in the region, beyond the $4-5 billion it is investing today." In the Lebanese and Syrian context, the officer noted that "Hezbollah is in the greatest breaking point since its establishment, after losing 1,300 of its members who were killed and 5,000 others who were injured. "About a month and a half ago, the IDF stopped bringing injured from the Jabhat al-Nusra organization into Israel for medical treatment, and even before that there were only few cases. We haven't helped them, neither with one shekel nor with one bullet." The center, which researches and monitors issues related to dispersed Palestinians and their right to return, denied all Israeli allegations. Last month, the U.N. committee that accredits non-governmental organizations, recommended that the center’s application be approved. 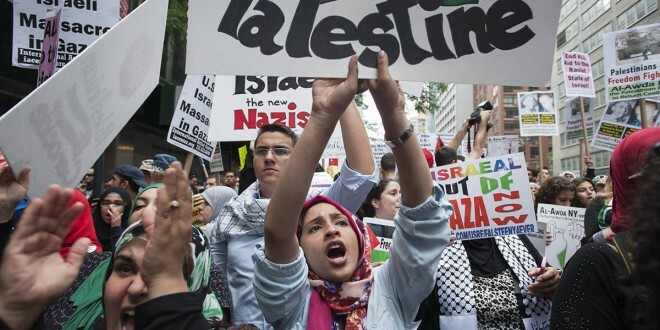 The Palestinian Return Centre (PRC), an NGO based in London since 1966, was granted special consultative status at the UN’s Economic and Social Council (ECOSOC) by the Committee on Non-Governmental Organisations on 1 June 2015. Since then, Israeli government officials and affiliated civil society organisations have actively lobbied ECOSOC members to reverse this decision, based on Israel’s allegation that the PRC is affiliated with Hamas. A police officer was lightly wounded on Sunday morning when a car drove into him at the entrance to the illegal settlement of Kiryat Arba, near al-Khalil. 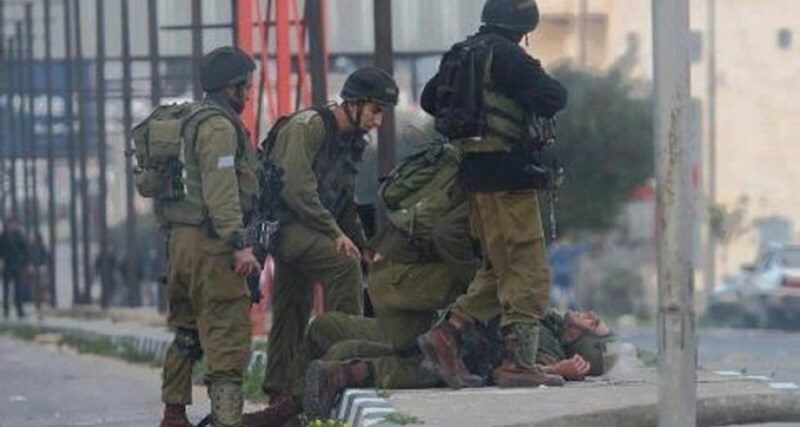 Israeli police claimed that an officer was slightly injured after he was struck by an vehicle with Israeli plates. The car's driver refused to stop. Preliminary investigations, by Israeli police, alleged that the vehicle was stolen and did not belong to the driver. Former finance minister says 'absurd' Iran deal could have been prevented in Netanyahu had better relationships abroad. Yesh Atid Chairman Yair Lapid slammed government policy Saturday, saying it was Israel's failed approach that allowed for the signing of a nuclear deal between Iran and Western powers. The former finance minister said that he would issue a formal demand on Sunday for the creation of a commission of inquiry to produce a public report on, "Netanyahu's failed foreign policy. "This doesn't just need to be an internal commission in the Foreign and Defense Ministries, but a commission that will also publish a public report (to explain) how we arrived in this situation." 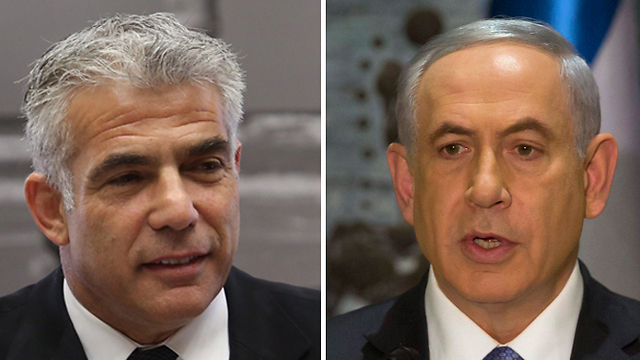 Though criticizing Prime Minister Benjamin Netanyahu's approach to stopping the deal with Iran, Lapid voiced agreement with the Likud boss' opinion of the treaty. "They made an agreement in which every mention of oversight is absurd and the State of Israel wasn't there (at the talks) because no one is prepared to talk with Netanyahu." Netanyahu took a hard line against a deal with Iran before discussions ever began. Despite his efforts, the deal was signed last week.